USPA NEWS - French President Emmanuel Macron pledges to rebuild Notre Dame, will seek international help to do so. French billionaire François-Henri Pinault. Pinault pledges 100M euros toward rebuilding Notre Dame Cathedral, according to a statement (AFP). Furthermore, a « National collection » was launched during the night of the Notre Dame de Paris burning, by the Heritage Foundation to raise funds for the reconstruction of the Cathedral, a treasury of the World heritage. 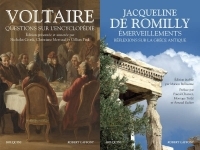 "This collection will be available on Tuesday, April 16 from noon on the site www.fondation-patrimoine.org" said the foundation. So far the pledges reached out, 1€Bn to rebuild Notre Dame de Paris, after the dramatic fire, occurred on April 15th at 6h45pm. USPA NEWS - Michelle Obama, the former First Lady, of the United States the most popular, has become a global icon, and every passage in all the major cities of the world or she is touring the launch of his book "Becoming". 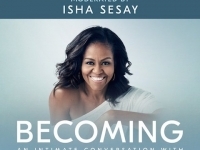 Every move by Michelle Obama to present her autobiography, "Becoming", is a viral phenomenon, causing the sale of tickets well before the scheduled date. As a matter of fact, on April 15, 2019 on the site, the most expensive places for a show in London are 1,040 euros for the musical Hamilton.Tuesday, April 16 at 8 pm, Michelle Obama, will be at the AccorHotels Arena in Paris for a new outstanding conference called « An intimate conversation with Michelle Obama » conducted by Isha Sesay, journalist from CNN.The coincidence of her schedule coincides with sadly her visit to Paris, with the tragedy of the fire of Notre Dame de Paris, the legendary cathedral, just burned today. Michelle Obama twitted: "The majesty of Notre Dame—the history, artistry, and spirituality—took our breath away, lifting us to a higher understanding of who we are and who we can be. Being here in Paris tonight, my heart aches with the people of France. Yet I know that Notre Dame will soon awe us again"
USPA NEWS - Western Culture, sometimes equated with Western Civilization, Occidental Culture, the Western World, Western Society, and European Civilization, is a Term used very broadly to refer to a Heritage of Social Norms, Ethical Values, Traditional Customs, Belief Systems, Political Systems and Specific Artifacts and Technologies that have some Origin or Association with Europe. The Term also applies beyond Europe to Countries and Cultures whose Histories are strongly connected to Europe by Immigration, Colonization, or Influence.